LGEF funds essential teachers and staff to ensure a high-quality education for the children of Los Gatos. We are thrilled to announce that award-winning Bay area developer SummerHill Homes recently donated $5,000 to LGEF. 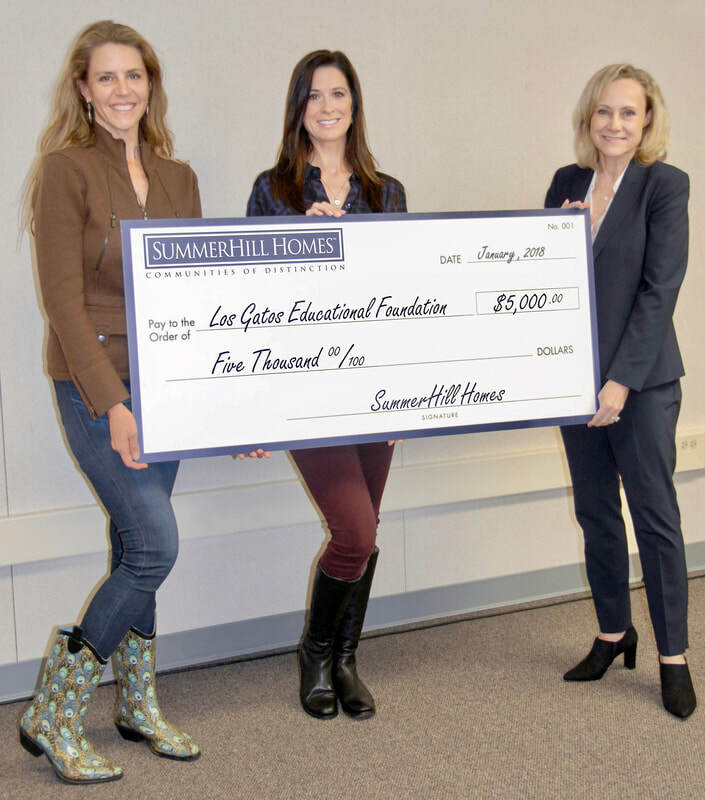 SummerHill is a multi-year LGEF donor and strong supporter of our Los Gatos schools. Thank you SummerHill Homes for your generous donation! Photo: SummerHill Homes Executive Vice President Katia Kamangar (on right) presents the check to LGEF Executive Director Deborah Weinstein (left), and LGEF VP Business Development Alexis Barnickel (center). Become an LGEF business partner. Promote your business and support your community. LGEF is led by a board of volunteer parents drawn from all our schools. Click here for more.